A change at North Logan’s Cache Valley Hospital last month led to the hospital’s Medical Director of Emergency Medicine, Dr. Jess Jewett, MD, being selected to also serve as the hospital’s new Chief Medical Officer. Dr. Jewett said the hospital is dedicated to providing the best possible services. Dr. Jewett is a native of Orem and an alumnus of Utah State University. Cache Valley Hospital was established in 2000 and has provided care to people who live and work in Cache Valley, Box Elder and Rich counties as well as communities in southern Idaho and western Wyoming. 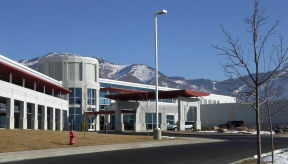 The hospital is part of MountainStar Healthcare.